Hello all! Today is my day to post on the SVG Attic blog. 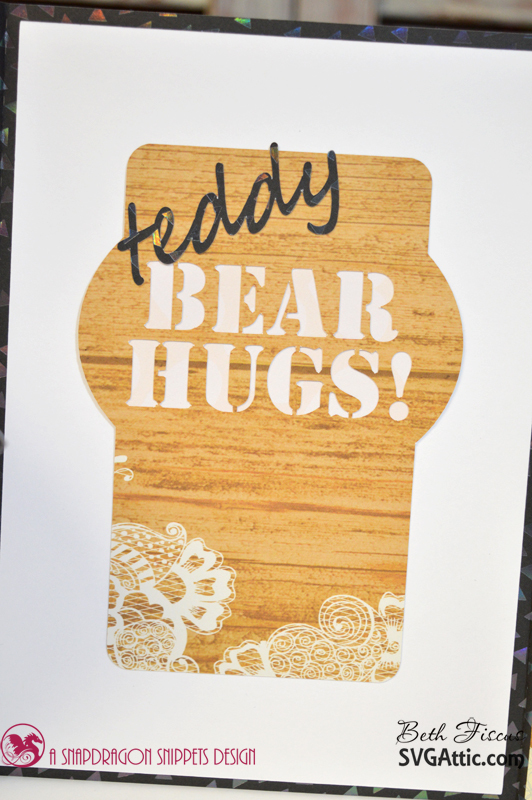 I made this card for my newest niece! 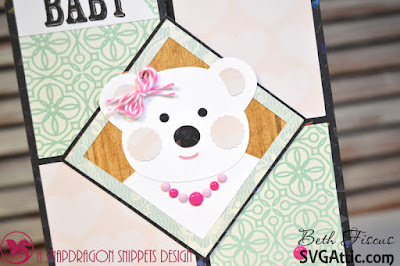 I used the Teddy Bi-Fold card file from SVG Attic's JGW Beary Sweet set. The papers are from DCWV's Minty Lace stack. I embellished the card with GMD Watermelon enamel dots, and Tickled Pink Trendy Twine. The inside is even decorated! I love this file! It can work well for a boy or a girl. This is just Precious!! Love it! This is so cute ! I love this bifold card! I'm going to have to get this file ! Absolutely adorable! The little bear is so sweet with her necklace and bow! The design of your card is fabulous! Congrats on your new niece! Oh how Precious!!! 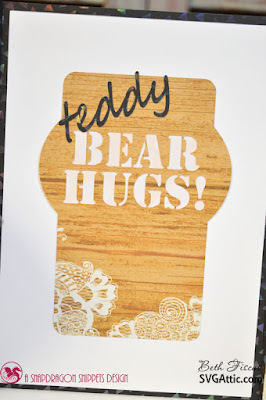 Such an adorable card! 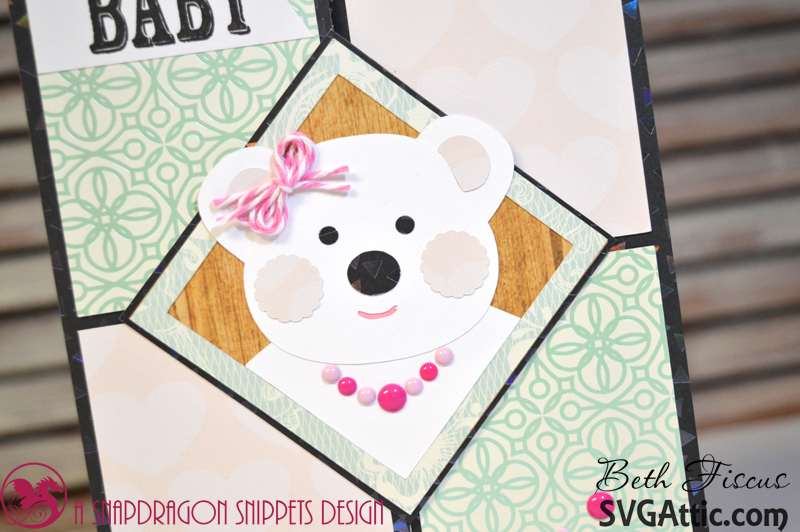 LOVE the bow and necklace you made for the bear!